Installing themes are easy on window 8 ,it is same as we install themes on window 7 .In window 8 there are some default theme are already available or provided by Microsoft you can choose any default theme as per your need.We all know its very easy to install these themes , but still let see how to install or change default windows theme. First right click and then click on personalize,see below pic for more detail. A window will pop up in that window you will see your current theme , that you are using and some default themes that are provided by Microsoft , so now double click on on any of the theme to apply the theme ,take a look at the below pic. So that all about on how to install default themes provided by Microsoft , you can also download more themes from Microsoft website , but all this themes provide very little customization than the third party themes. Third party themes are the themes which provide more customization and some time required to changes some systems files , but this third party themes is not so easy to install third party themes to window 8 .So you need to first patch your some system files to use or install third party themes to windows 8 So let see how to patch your system files to use third party themes for window 8.so lets see how to do that. 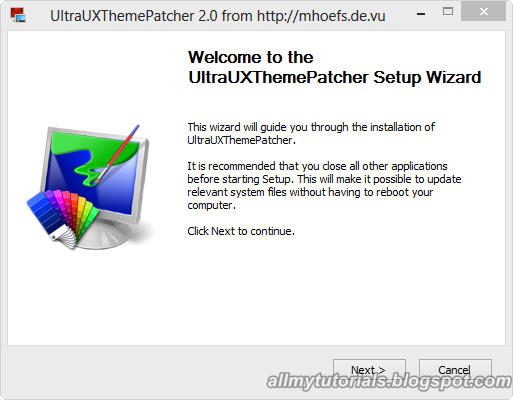 So let see how to patch these files from below download UltraUXThemePatcher created by Manuel Hoefs (Zottel). Accept the agreement and then click on next button and then finally click on I Agree and your system files will start patching , after that it will require you to reboot the PC. 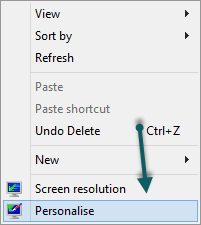 it will ask for you to reboot your PC now or later choose option which is appropriate for you.Now once all your system files are patched that are required to install third party themes then start installing third party themes , in future will show you more on what to do after doing this step. Also look at how create window 8 tile from any application. That’s it i hope you like my post to how to install third party themes to window 8 remember third party themes provide more customization then the normal window themes so its little bit hard to install them but after installing it your window look very good so keep visiting to my blog don’t forget to share and subscribe to me i will soon post some good window 8 themes . If you have any query please leave query , in below comment section i will try my best to resolve your any query.